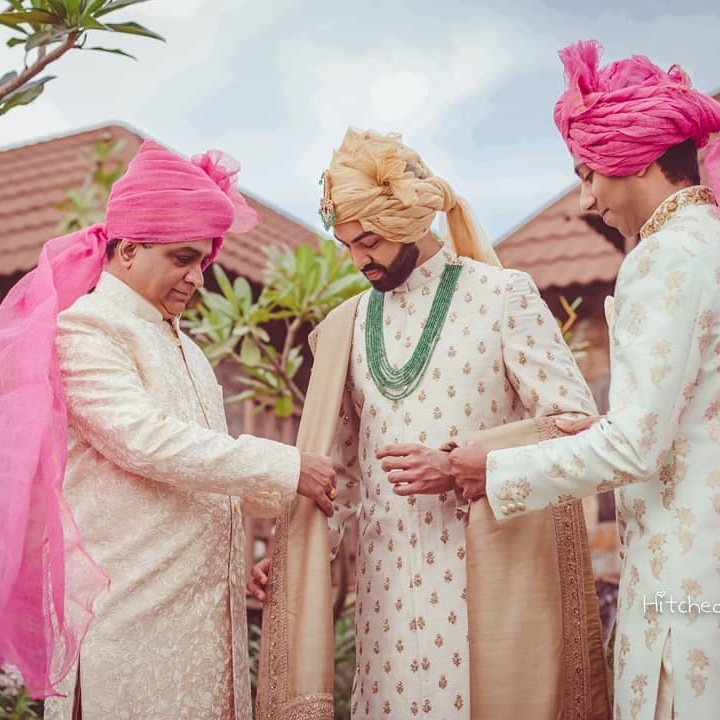 7 Safa Trends For Grooms Getting Married in 2019! 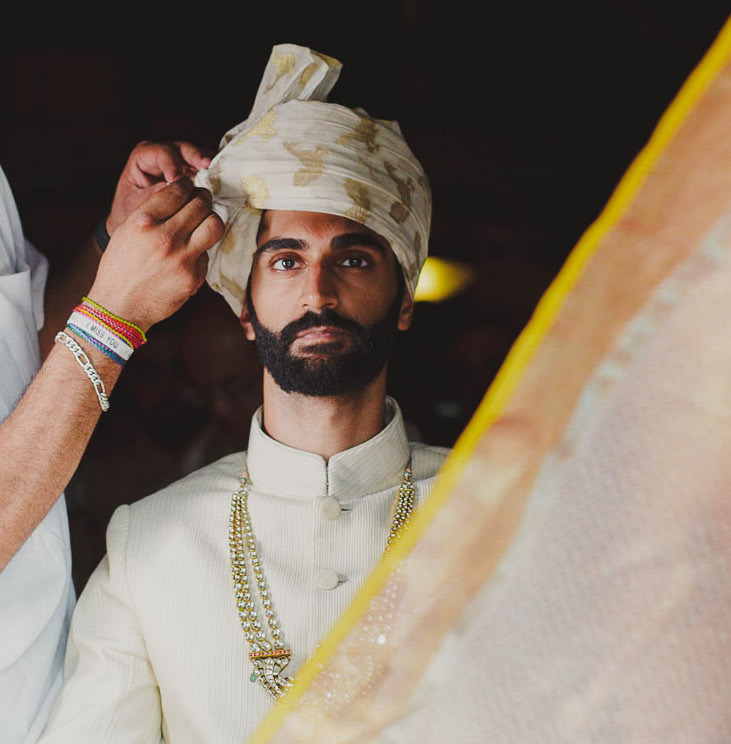 » » The Urban Guide » Weddings » Wedding Fashion » 7 Safa Trends For Grooms Getting Married in 2019! 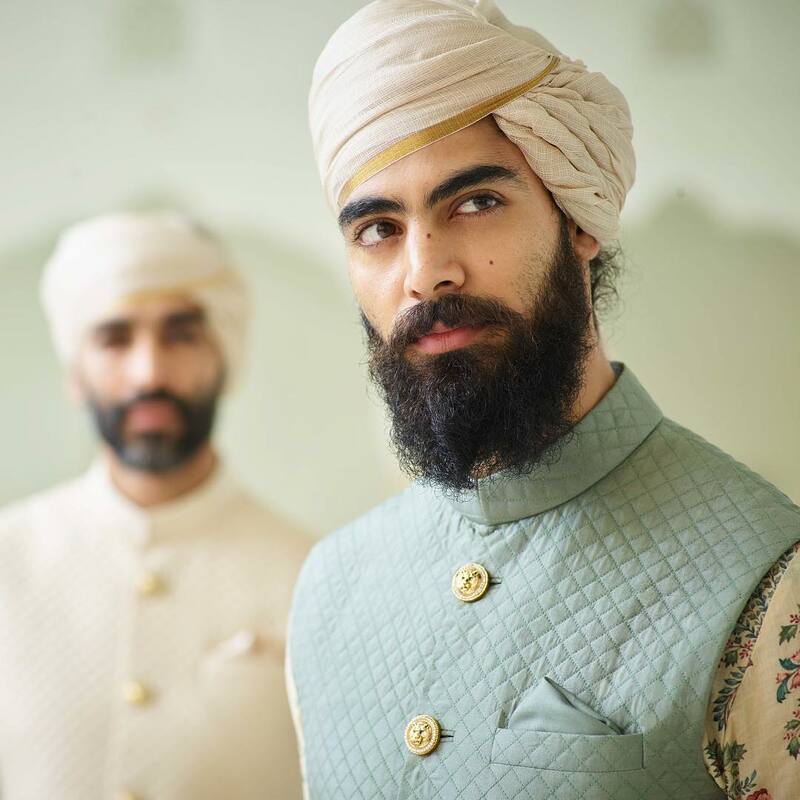 Have you picked a wedding safa design yet? Do you know what’s trending? 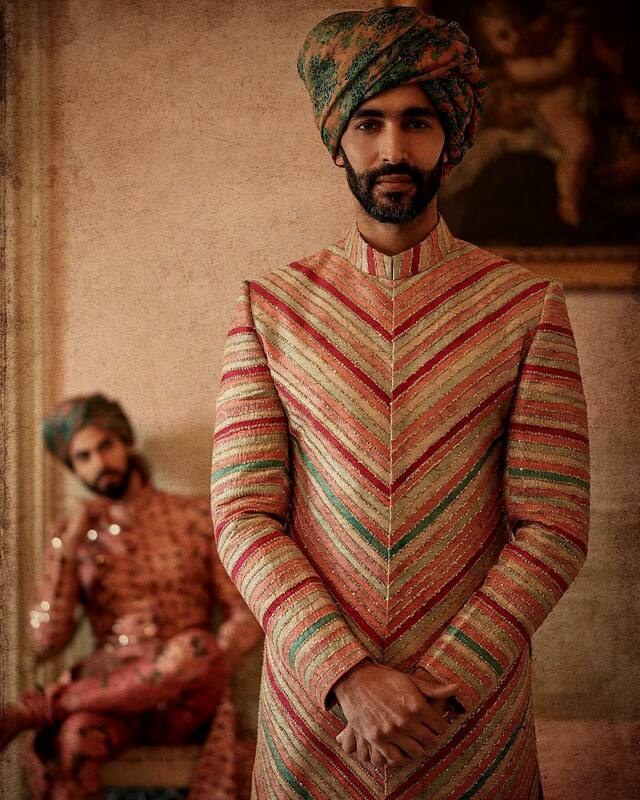 Ever since Sabyasachi gave us the floral safa, a myriad of designs has flooded the market. But you don’t want to get lost in that flood. Which is why we curated the BEST Safa design trends we’ve spotted recently, along with some classics that will never go out of style. 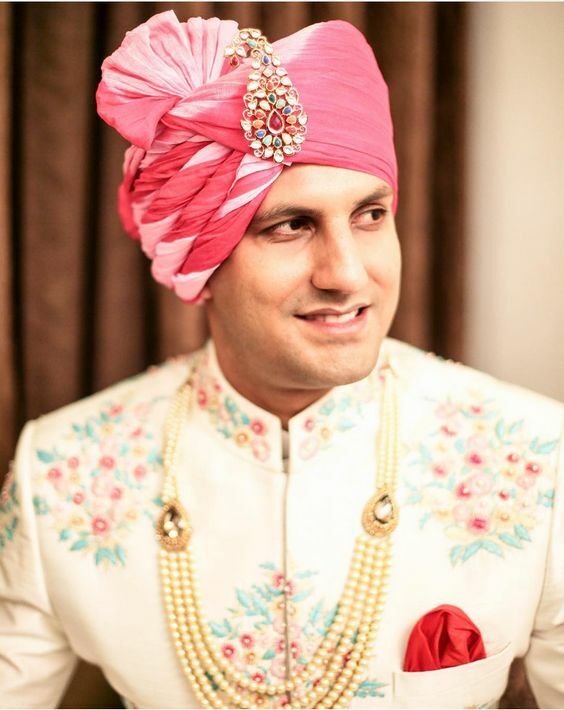 Irrespective of what you call it (a Punjabi turban or a Rajasthani safa or a groom’s pagri), the Safa gives a different look depending on the fabric you choose (kota, chanderi, cotton, velvet or silk). 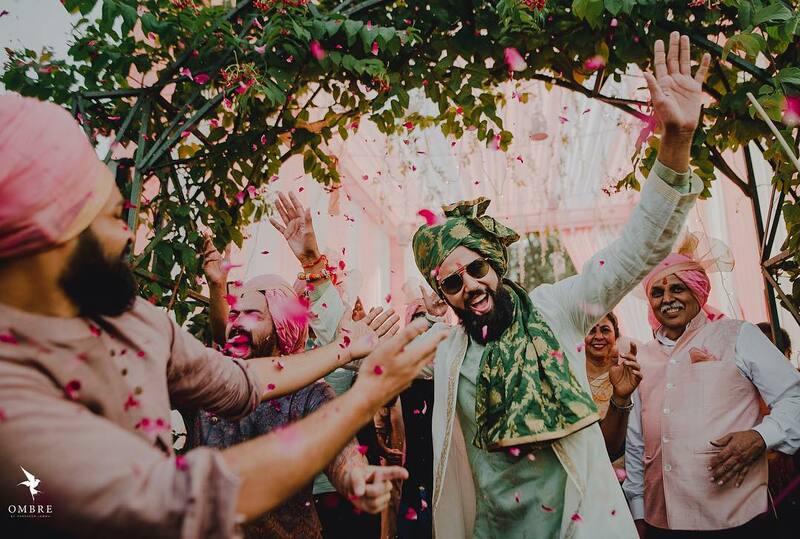 You can opt for a quirky and bold print, or go for monotone fabrics with an attached kalgi. 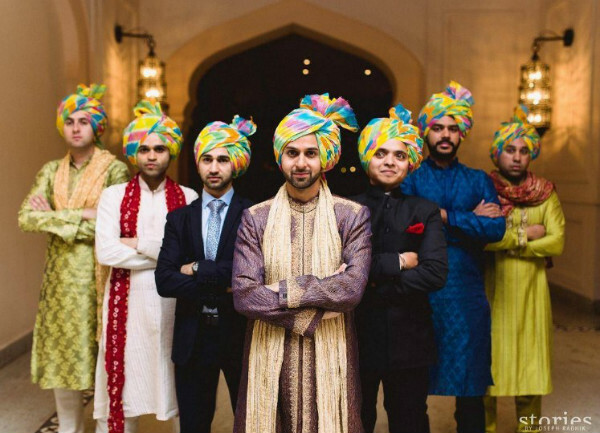 Basically, there’s a safa for every groom in the market, and here are our favourite dulha pagri designs for 2019. Psst…don’t forget to check out our Styling & Buying Tips at the end of the post. #1 Floral Safas are Super HOT! 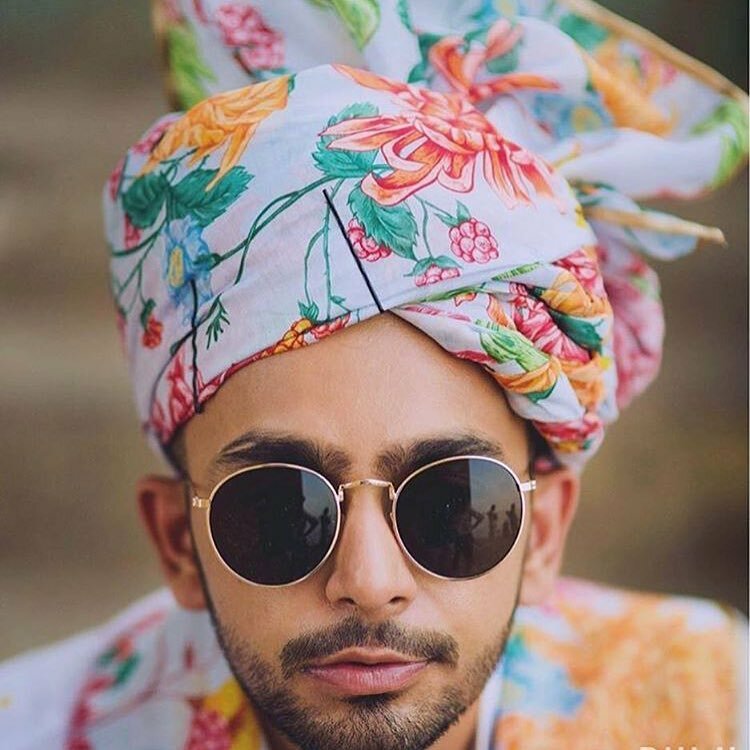 If floral isn’t the print for you, there are other options for the dulha padri designs! 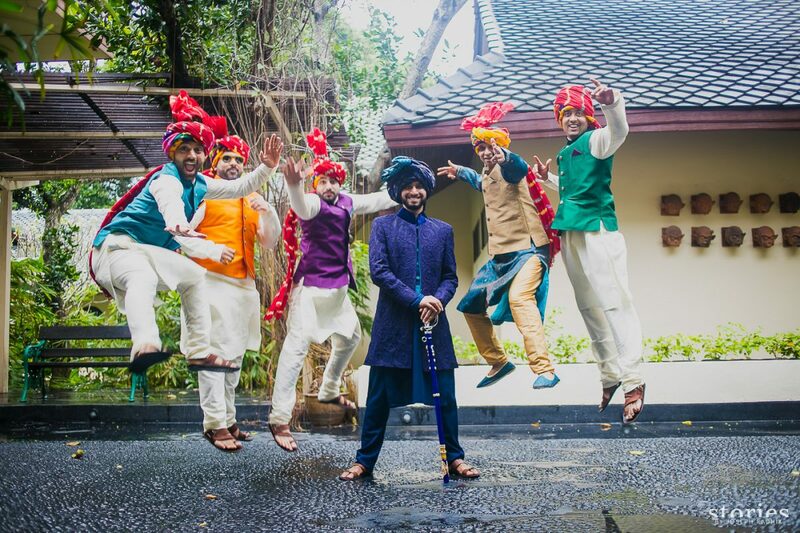 The Quirk Box designed a quirky geometric print wedding pagri for baratis, that the Bachhans wore to a wedding. 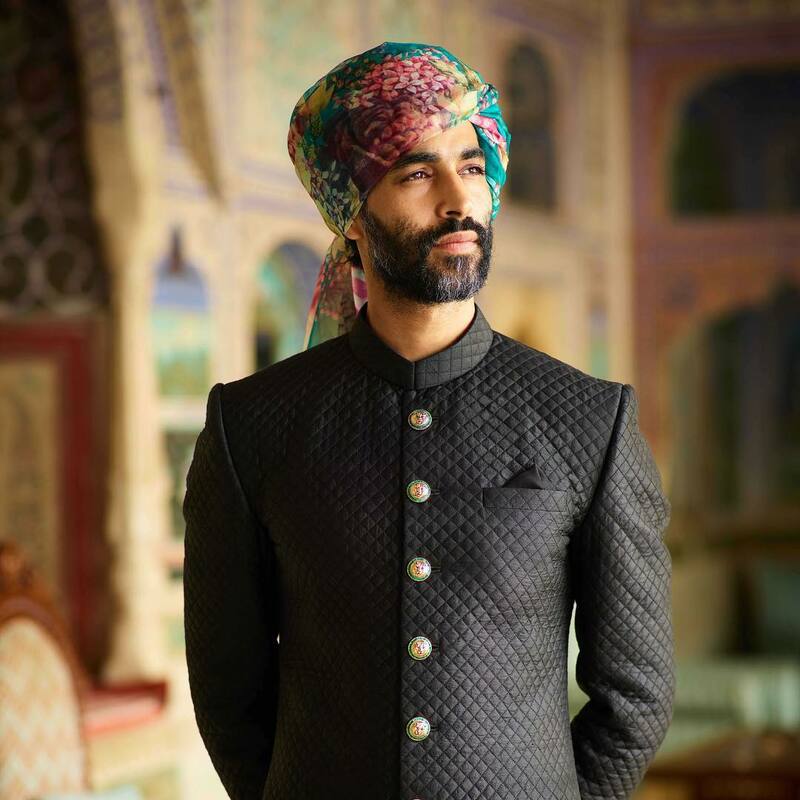 Sabyasachi gave us #SafaGoals with the leheriya pagdi in his Spring Summer 2018 collection! 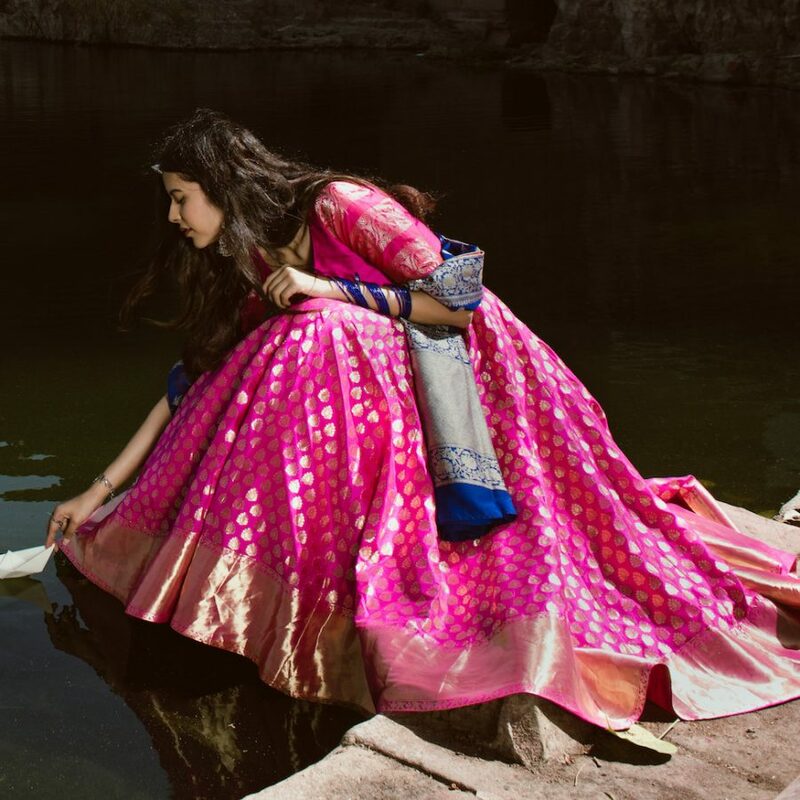 Leheriya fabrics usually come in bright hues and you can easily use them to add a pop of colour to a dull outfit. 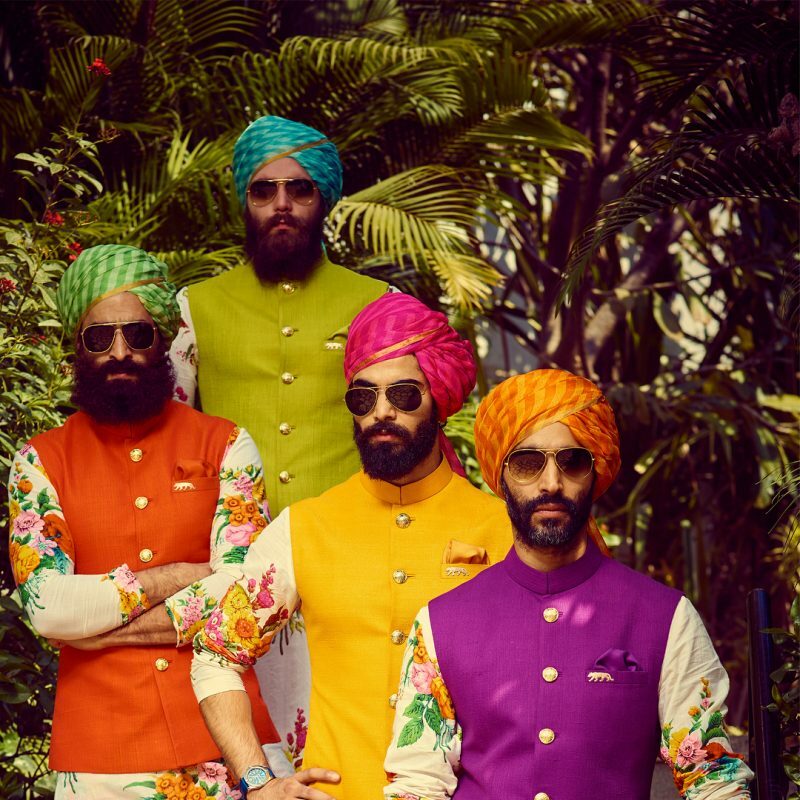 Leheriya Safas with bright Nehru Jackets/Bandis & Floral Kurtas: A Riot Of Colours! 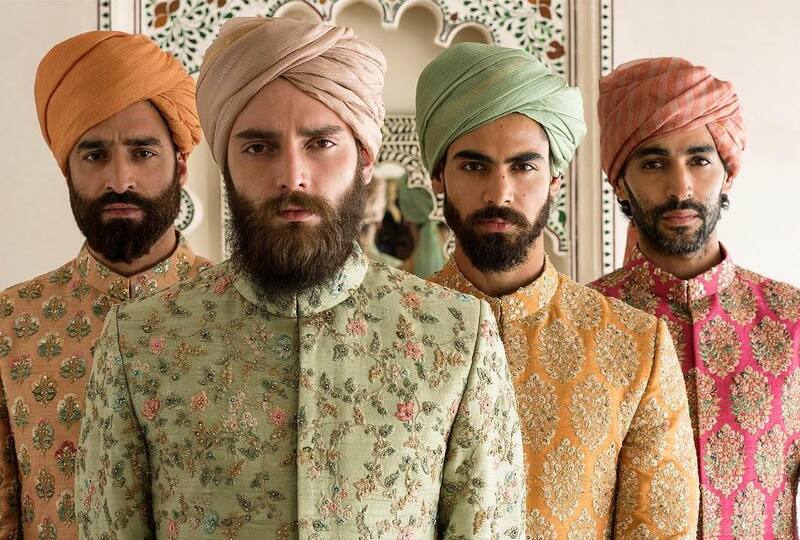 Whether you want the soft ombre effect or bright tie & dye for the groom’s turban, there are plenty of options. 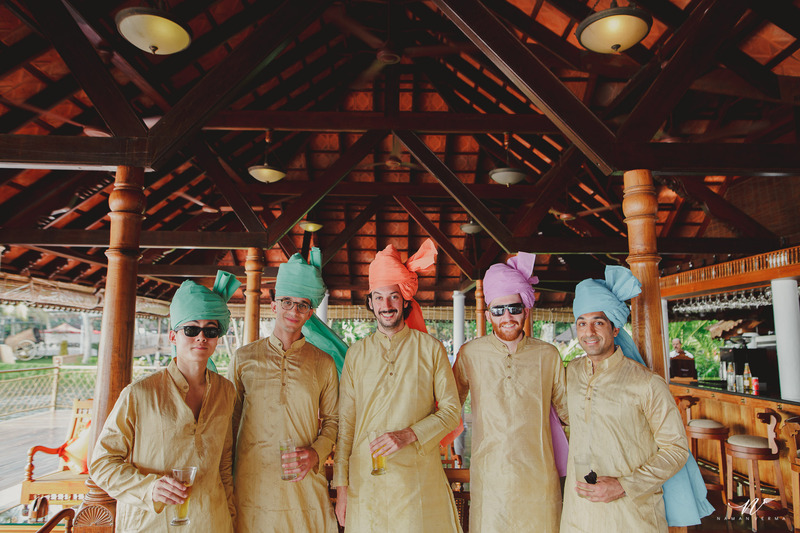 Whether you’re the groom, groomsman or bridesmaid – monotone pagris are your friend! 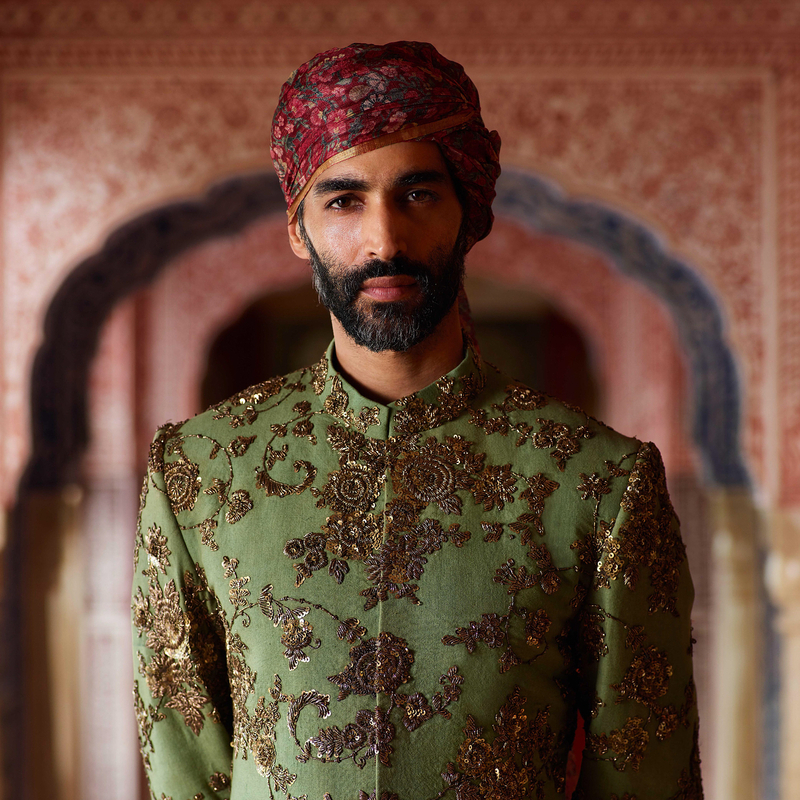 Grooms should pick a safa in a similar shade to their sherwani to keep it classy. Metallics finally make their way into pagri land! 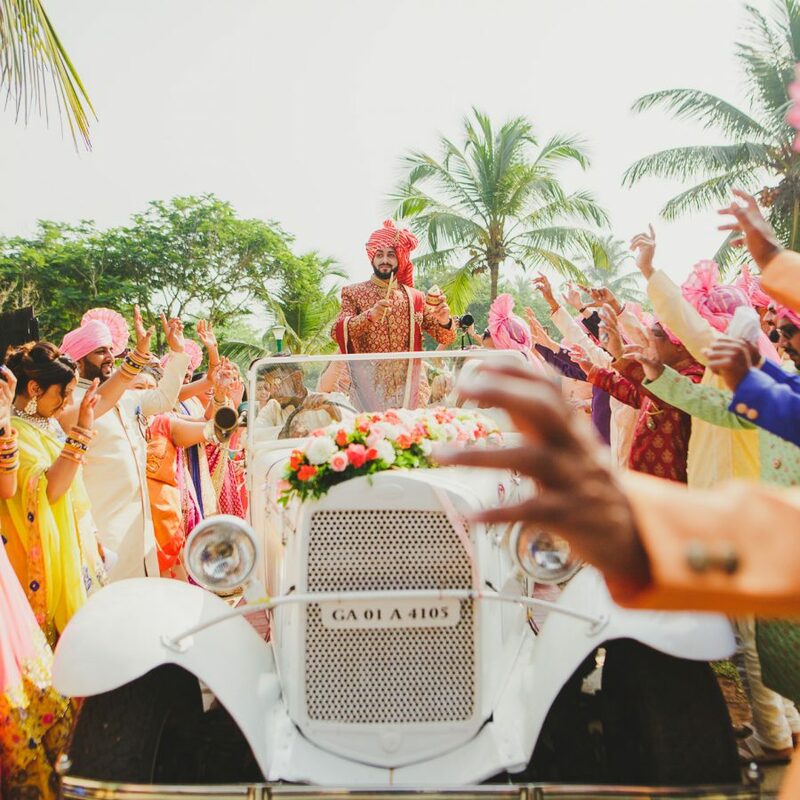 Don’t stick to a single colour for the baraat! 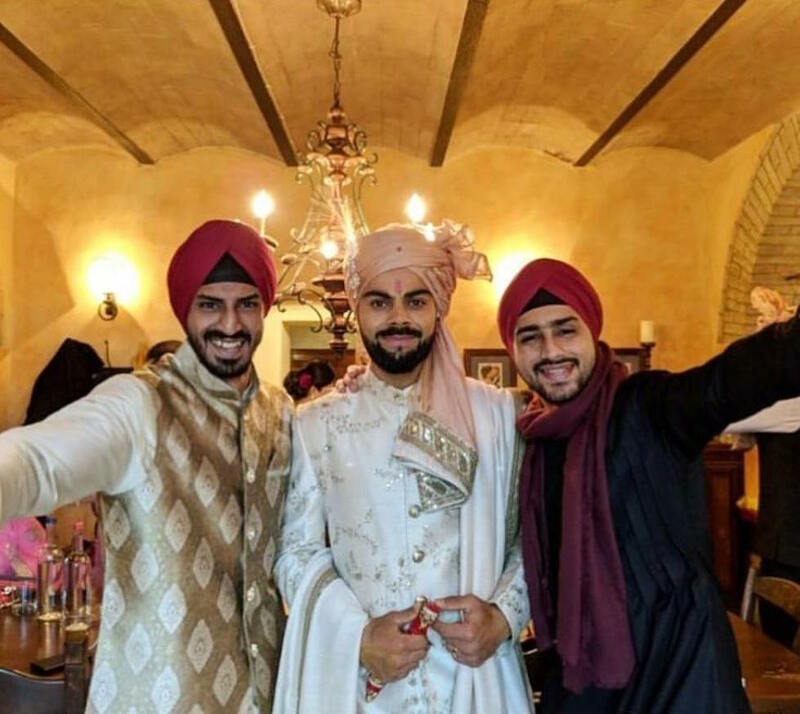 If you can get them in coordinated neutral kurtas, this looks so beautiful in photographs. 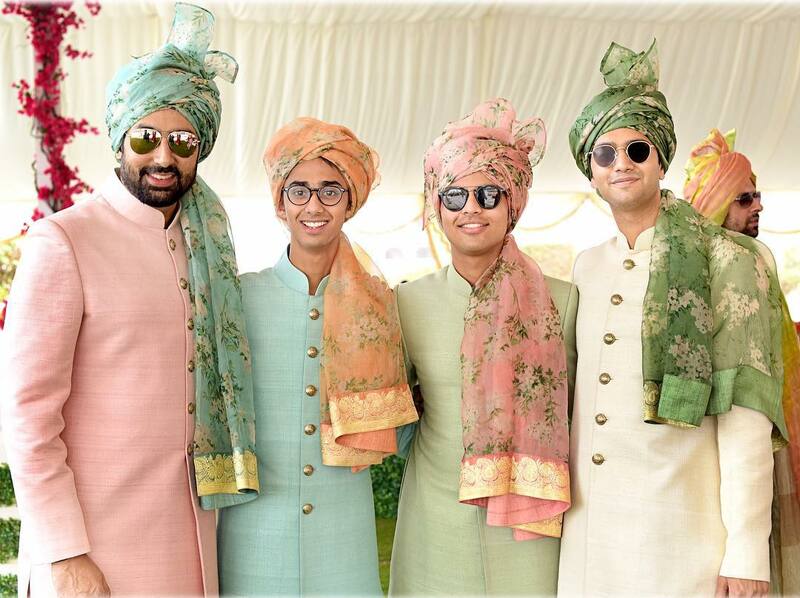 They add extra oomph to your outfit, and are perfect for the groom who doesn’t mind making a fashion statement. Brownie points if you coordinate the look with your sarbala! 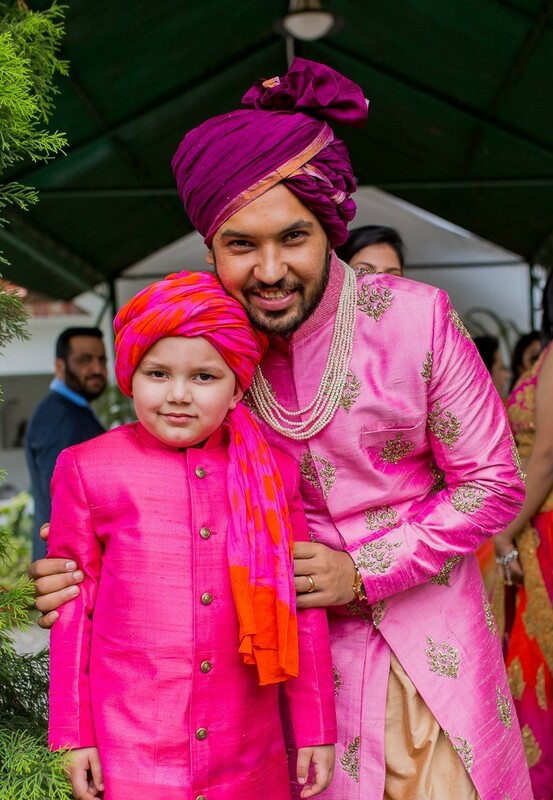 Bright Pink Safa with Floral Sherwani! 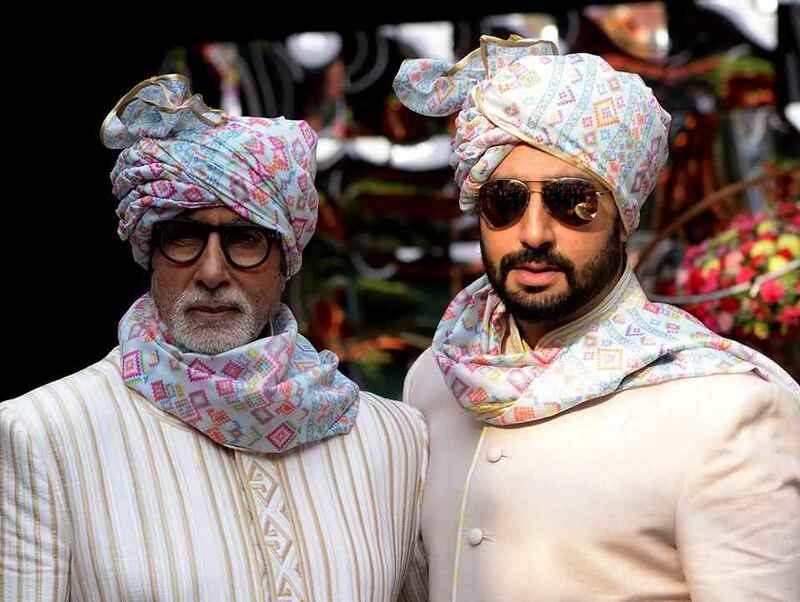 Hold a trial with your turban-man (pagriwala) to make sure there is no disaster on the wedding day. Tying the safa right is a skill! 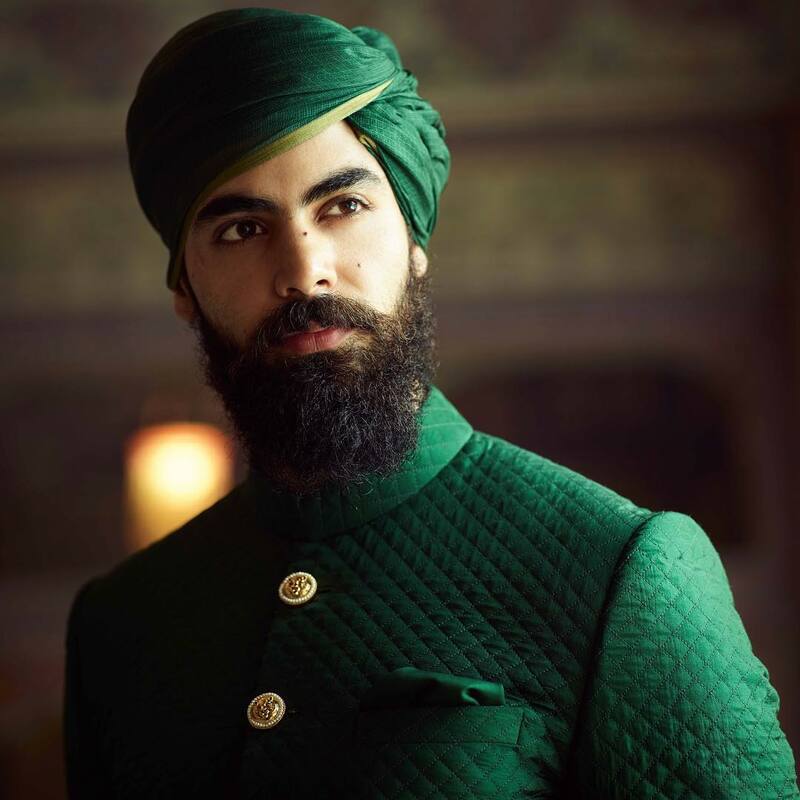 If you’re not confident about the turban staying in place, wear a pre-stitched one! It is less ceremonial but will make your life much easier. 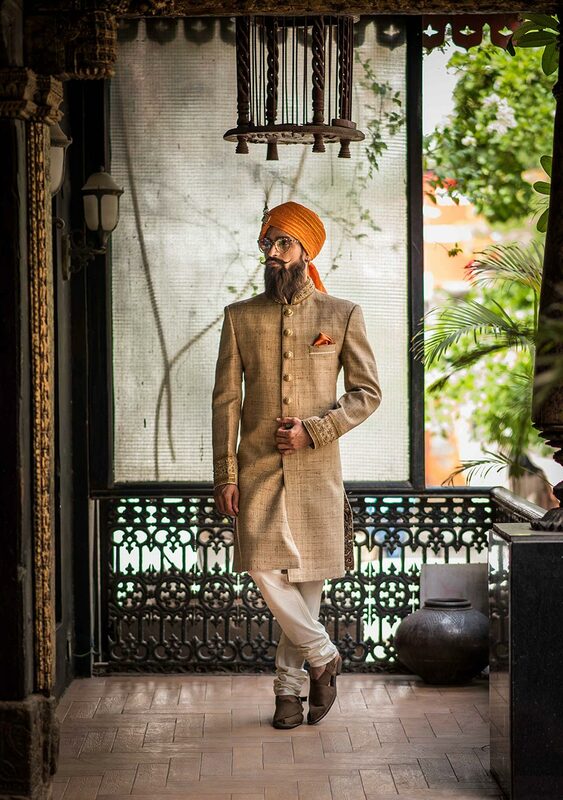 Use the safa to balance your look. If your outfit is heavy go for a light pagri and vice versa. 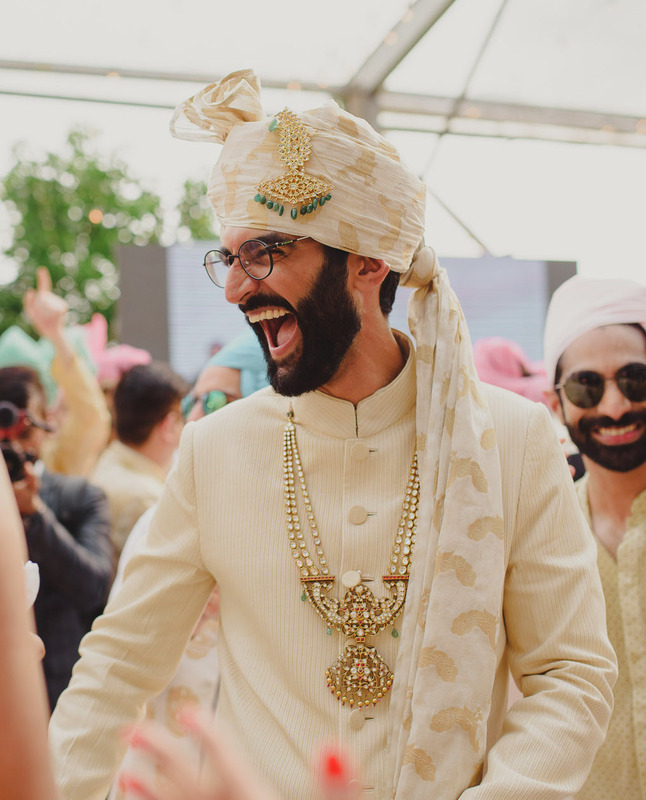 Don’t forget to coordinate the safa with your bride’s outfit! Add a kalgi, if you want to add some bling. 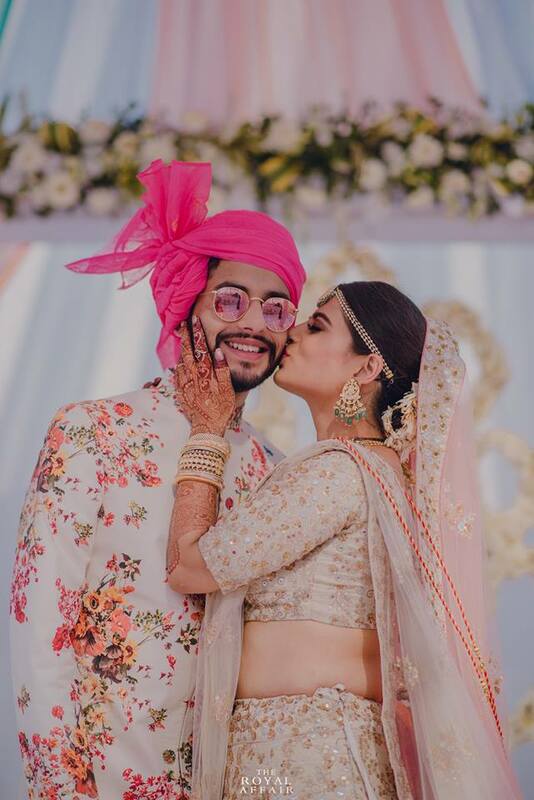 Where Can I Buy Designer Safas? 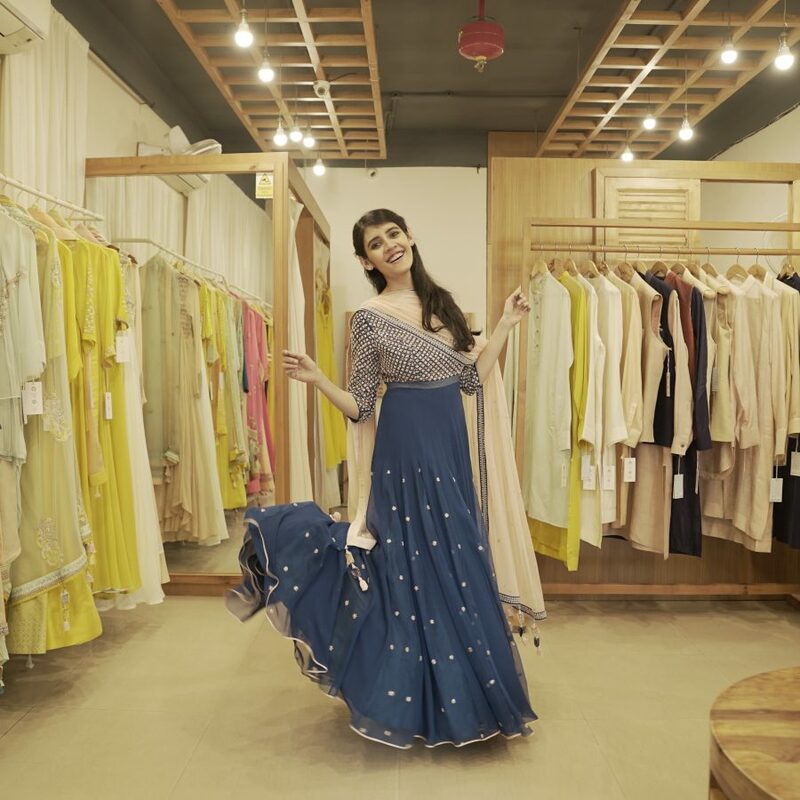 Sabyasachi, The Quirk Box & Manyavar are some of the places where you can find the designs of wedding safas online. 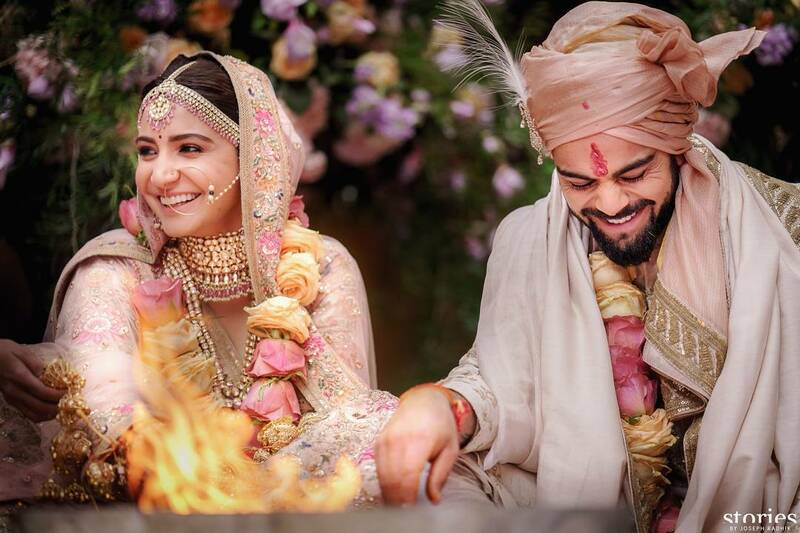 A wedding pagri shop in Delhi you can try is RK Pagri Wala in Patel Nagar. 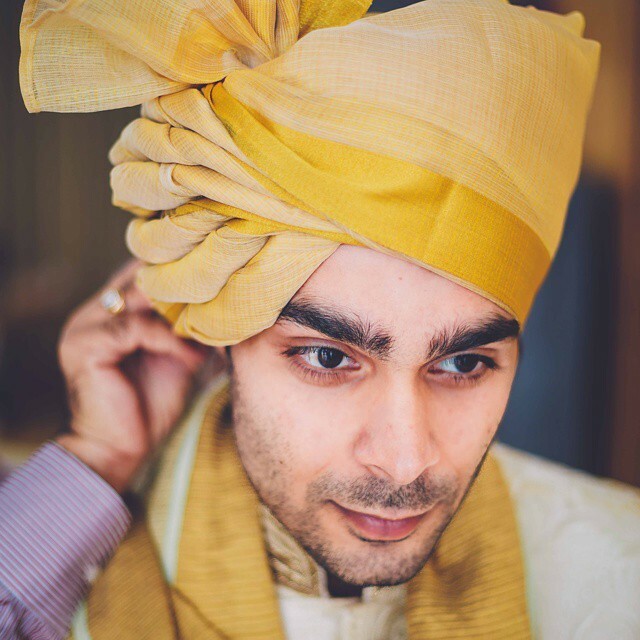 On Amazon, Shahi Pagdi & Safa House has plenty of pagri for grooms online at reasonable prices. 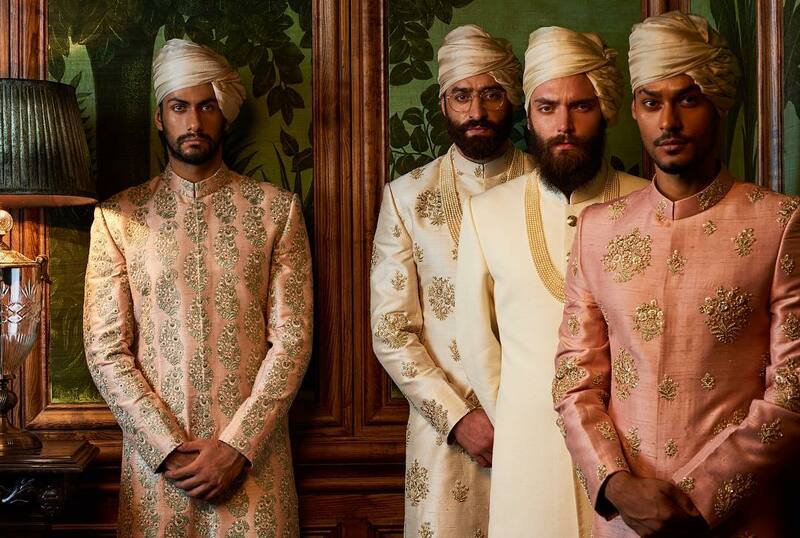 Looking for more styling tips for grooms? Feel free to comment down below or click here. 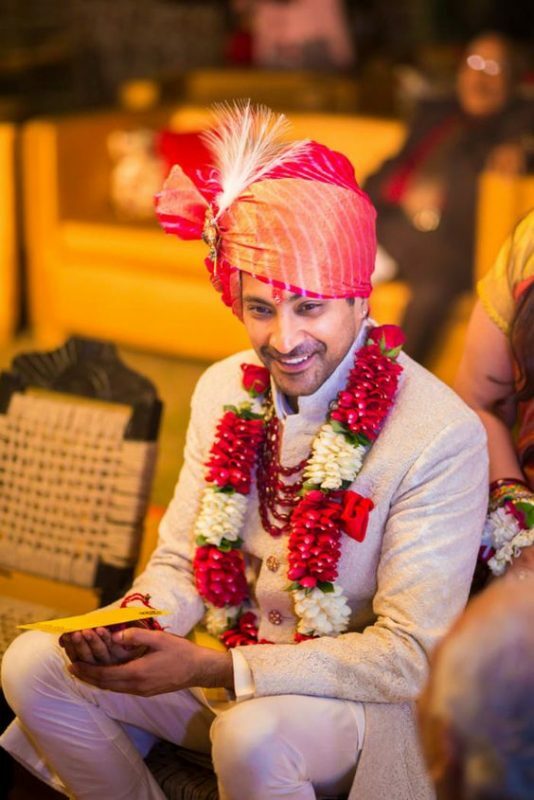 For more Safa ideas for grooms, click here. Or go explore groom entry ideas. 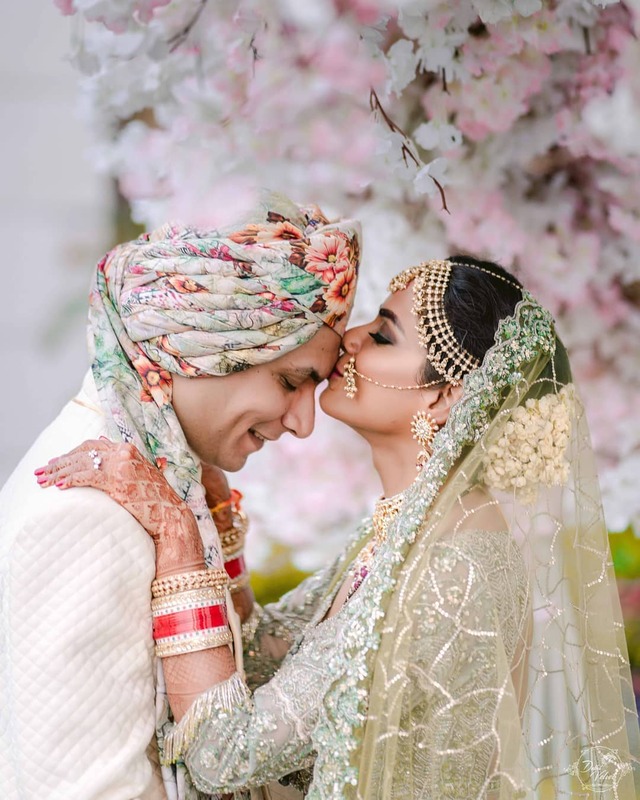 17 Safa Trends For Grooms Getting Married in 2019! 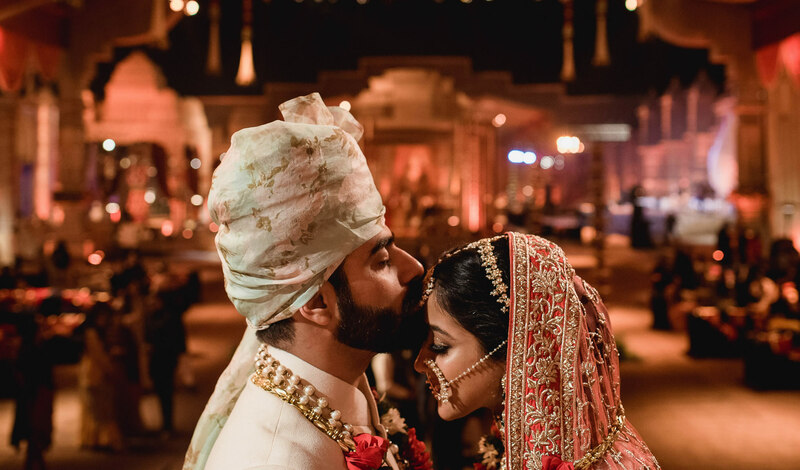 2 Sabyasachi’s New Spring Summer Collection: 7 Trends That Will Rule 2018!